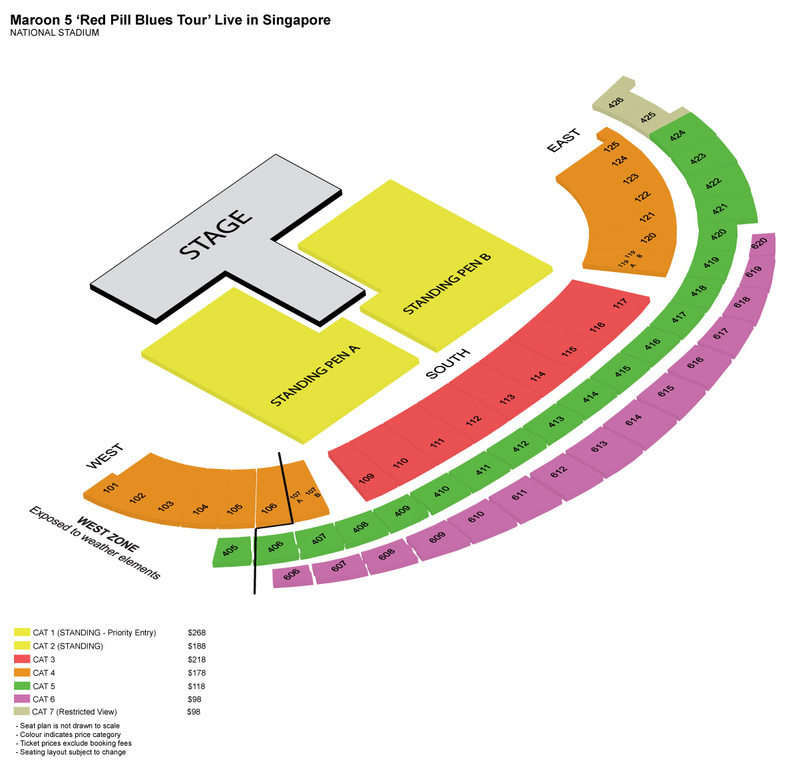 Are you ready to catch Maroon 5's largest show in Singapore to date? 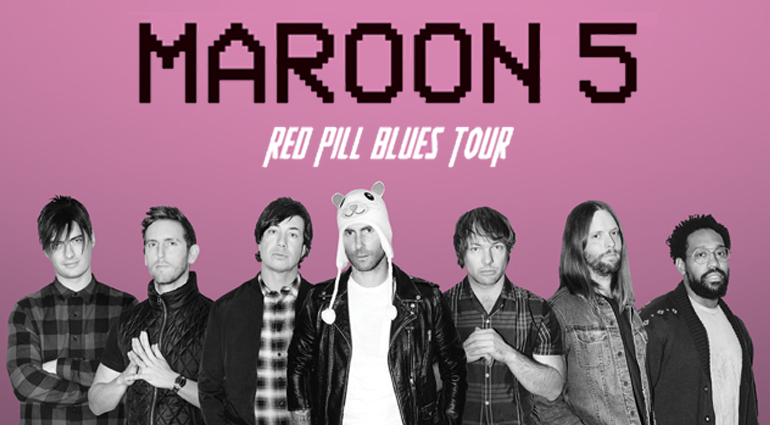 Here's what you need to know for a smooth experience at Maroon 5 ‘Red Pill Blues Tour’ Live in Singapore! “Girls Like You,” Maroon 5’s most recent single, spent its fifth consecutive week at #1 on Top 40, fourth consecutive week at #1 on HOT AC, is #2 on the Billboard Hot 100 and reached #1 on iTunes and Spotify, all while accumulating almost 300 million Spotify streams and 679 million YouTube/ VEVO views. The video reunited the band with film director David Dobkin, who directed the band’s music video for “Sugar.” Click HERE to view the video for “Girls Like You.” The single, featuring Cardi B, is available on the Deluxe Edition of Maroon 5’s platinum-certified sixth full-length album, Red Pill Blues. Citi Priority pre-sale is fully redeemed. Live Nation Members pre-sale is fully redeemed. Media pre-sale is fully redeemed. Next up will be General sales on 28 September, 2018 from 10:00am. *Standing - Priority Entry ticket holders get priority entrance to standing area. No designated area within the standing pen for Standing - Priority Entry ticket holders. Children under 12 are not allowed into the standing areas. For more information, please visit the Admission Policy tab.